In 2011 CMS NSW & ACT became an Incorporated Company which required it to establish a Board of Directors to replace the Executive Committee. Below you will see profiles of the current Board members – they would all appreciate your prayerful support as they seek to steward CMS NSW & ACT for God’s glory and to see Jesus proclaimed as Lord all over the world. Robert McPaul has recently semi retired after many years in senior Human Resource and Community Service Management roles with organisations such as Fairfax, Reckitt Benkiser, BaptistCare NSW and Presbyterian Social Services. He currently works part time with Presbyterian Social Services. 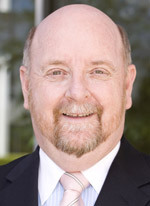 He has been an active member of CMS since his teenage years and served as Chairman of the NSW Branch from 1995 to 2005. Robert is presently Chair of the CMS Trust and a member of General Committee. In 2011 he became the inaugural Chair of CMS NSW & ACT Company in its new incorporated structure. Robert and his wife Helen currently attend St Michaels Cathedral Wollongong after having attended St Mary’s at Balmain as part of the Darling St Anglican Church for the previous 9 years subsequent to moving from the Sutherland Shire after 26 years. He has been a Christian since his early childhood and like many who have had this experience has had special times in his life when his Christian life has grown in maturity. Robert loves swimming, skiing, travel and reading murder mystery books when he is not spending time with his family, including his five grand children. He has also partially completed the Preliminary Theological Certificate. 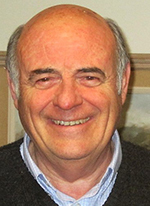 Malcolm started his role as General Secretary of CMS NSW & ACT in May 2011. 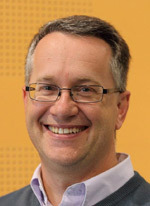 Malcolm originally studied Optometry at UNSW in the early 1980s and practised for a number of years before commencing Missionary Service with CMS in 1988. Malcolm and his wife Elizabeth served two terms in the Democratic Republic of Congo (DRC), which was known as Zaire when they first arrived in 1988. After seven years working in Goma, they returned to Australia where Malcolm studied at Moore Theological College and obtained a BTh. Malcolm and Elizabeth then moved to the Diocese of Canberra and Goulburn where they led a new congregation in the ACT suburb of Gungahlin in 1999. In 2003 Malcolm became the Rector of this church. In 2005 Malcolm and Elizabeth returned to DR Congo where Malcolm led the Department of Theological Education in Kindu. After serving a further six years with CMS Malcolm and Elizabeth returned to Australia to take up new ministries. Greg became a convinced Christian at the St Martin’s Kensington Confirmees House Party in 1961. Prior to entering Moore Theological College, he worked in Information Technology. Since his ordination in 1972, he has served in the parishes of Darling Point, Pymble and Fairfield, with CMS in Jakarta, Indonesia and in Armidale, Greenwich and Leura. He continues to minister in his home church, North Epping and in other parishes as locum tenens. He has also been a member of the Parramatta Anglican Regional Council, a member of The Bishop in Council and The Council of Triers of the Armidale Diocese and served on a number of church, school and community committees, councils and boards. With his wife Christine, Greg has had a long association with CMS. 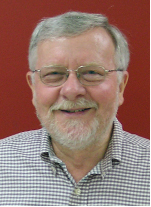 Since the mid 1970s he has been a sometime member of General Committee and Executive (NSW/ACT Branch and Qld/Nthn NSW Branch); Branch Candidates Committee (NSW/ACT), of which he is the current Chairman and as a Missionary in Full Connection (1980-1989). Chris has been a member of the CMS NSW General Committee for 30 years and is a former deputy Chairman of the General Committee. 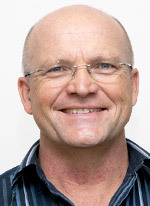 Chris also currently serves on the Board of CMS Australia and is a Director of CMS Trust Limited. Chris Chairs the CMS NSW Property and Maintenance Committee and for 20 years was a member of Candidates Committee. Chris believes CMS reflects the Biblical mandate to take the Gospel to all people and says this motivates her involvement with CMS. Chris attends Northside Baptist Church. Faith was a Maths High School teacher and head of Maths for a number of years before going to Tanzania with CMS-A in 1984. Faith taught in a government secondary school in Mwanza whilst also being involved with the students Christian fellowship and teaching scripture. She returned to Australia in mid 1992 because of her mother’s illness and remained in Australia. She was employed by CMS NSW from that time with responsibility not only for arranging missionary deputation but also a many faceted role including responsibility for Youth and Children’s ministry, those doing short term, offertory envelopes, member services and anything else that needed to be done! In 2001, whilst preparing to return to Tanzania, Faith was asked to take on an acting role as Mission Personnel Secretary for CMS-A and she was confirmed in this role at the end of 2002. Faith generally was responsible for CMS-A personnel in Africa, Middle East, South Asia and Northern Territory and she visited them and CMS-A partners in those regions on an annual basis. Faith retired from this position in September 2011. Faith is a member of Blacktown Anglican Church currently involved in mid week services and teaching ESL and as a pastoral care volunteer at the local hospital. She also is a facilitator on the Missions Interlink Transition Training course. 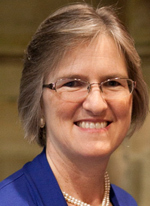 Kathryn has been a supporter of CMS since her marriage to Mark in 1991. After spending three years in Oxford in the UK, they returned in 1997 and have ever since been regular attenders at the CMS NSW Summer School. Kathryn and Mark have four gorgeous girls – Elizabeth, Anna, Rachel and Mary. Having worked for 17 years as a chartered accountant, Kathryn has been a full time mum since Anna was born in 2001. 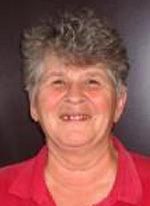 As well as caring for her family and partnering with Mark in his work training men and women at Moore College to proclaim the gospel of Christ, Kathryn sits on a number of diocesan committees, and is an active member of St Andrew’s Cathedral, Sydney. 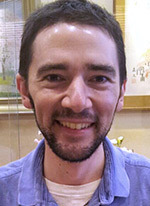 David is the Senior Minister at Hoxton Park Anglican Church in Sydney’s outer South West. He grew up in Indonesia where his parents were CMS missionaries. He has had a long term interest in the care and support of missionaries’ children and was involved in establishing the NSW MK Network. David has served within CMS on General Committee, NSW Executive Committee and Federal Council. David briefly worked in Mechanical Engineering building lawnmowers and electricity power stations. He now thanks God for the opportunity to work full time serving in a local church. Maintaining a close working relationship with local churches is essential for keeping the ‘Church’ in Church Missionary Society. From local churches come missionary candidates as well as much of the financial and prayerful support that is essential for those who serve. Alastair has had a heart for mission through his involvement at SUFM Canton Beach. While there, it is clear that we represent the best chance of people hearing the Gospel. Further, witnessing our faith through both our words and actions is equally important. Alastair joined the board early in the year as assistant treasurer with a view to replacing John Chapman as treasurer after the next AGM. He has experience with not for profit entities and over ten years of experience in chartered accountancy and is looking forward to be able to use his gifts in order to serve. He currently attends Miranda Anglican. Before retirement, Ian spent 31 years teaching and researching in the discipline of Biochemistry at the University of New South Wales, with extensive experience in undergraduate and post-graduate student supervision, academic counselling, and policy planning and implementation. He spent the final five of those years as Associate Dean of Science. Ian became a Christian in his first year of High School and with that came his first exposure to CMS through the missionaries linked to his original church, St John’s Sutherland. Ian and his wife Lyn have been active members of St Aidan’s, Hurstville Grove for 40 years, and Ian has served the church family in a variety of roles including Bible Study leader, Warden, Parish Councillor and Synod representative. Since retirement, he has been a member of the NSW & ACT Branch Candidates Committee and General Committee. Ian and Lyn have enjoyed their regular attendance at Summer School since the early 1990s. Stephanie spent part of her childhood in Hong Kong where her parents were CMS missionaries. 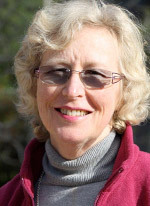 She has been a long-term supporter of CMS and attender of Summer School and is a member of General Committee. 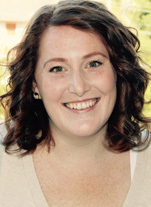 Stephanie worked in parish ministry for a number of years and is now working in a legal role. Stephanie attends Church by the Bridge in Kirribilli.